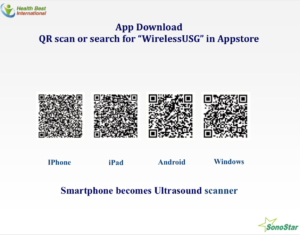 A World With Vast Potential -Introducing a hand-held, wireless ultrasound system from Sonostar. Innovative medical technologies are rapidly emerging, something new almost every day. Many of these creative solutions provide exciting advances in diagnostics and therapeutics. Yet some products and services are so overpriced, they actually create overspending problems for providers, facilities, and even large-scale systems. In domino fashion, overspending is passed to patients and payors creating affordability and accessibility conflicts. In response, Health Best International offers access to state-of-the-art imaging technology at dramatically reduced price points. Our vision is to place this technology in the hands of as many providers as possible, creating sustainable, cost-effective, patient-centric solutions for an otherwise unsustainable financial spiral. 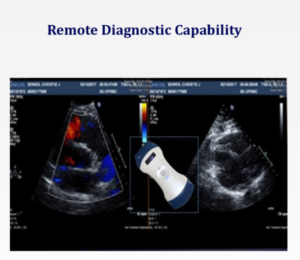 Our most recent and exciting discovery is a hand-held, wireless ultrasound system from Sonostar. Weighing in at only 270 grams, the little charming machine fits comforta- bly in the palm of your hand. Using 128 elements over 32 channels, it transmits an astonishing image via a built-in wifi hotspot to any type of screen. Tablet, handheld, or desktop. Compatible with iOS, Android, or Windows. 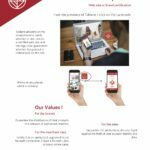 The transmission is cybersafe, the unit scans continuously for up to three hours on a single charge and never over- heats, and there are no subscription or other fees. 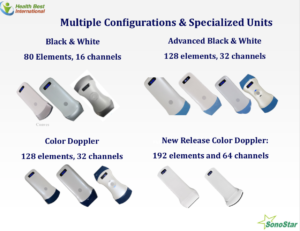 An efficient design provides multiple configurations contained in a small number of optional units covering a wide range of clinical applications. 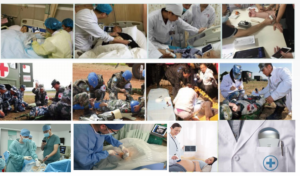 Over the last three years, Sonostar has sold over 20,000 units worldwide with less than 0.1% defect rate. They are seen in top hospitals, medical schools, clinics, and deployed in military units worldwide. Also recently approved by the US military. 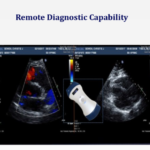 Advantages of the device include rapid, point-of-care diagnostics facilitating triage and treatment, connection to PACS or EHR for billing, useful in a variety of clinical applications across multiple medical practices, locations, and specialties, portable and independent of network connections for EMS and remote, rural, or other isolated locations. Innovative technology sets a new standard for quality and pricing. Handheld, lightweight, and cordless. No cables to get in the way so it’s easily covered for sterile environments. Built-in 5G wifi hotspot allows wireless transmission, no network required. Cybersafe. Compatible with iOS,Android, or Windows. Allows unprecedented mobility and portability. Durable, water-tight construction makes it ideal for busy or unpredictable locations. Also contamination resistant and easy to clean. Image quality is simply amazing. 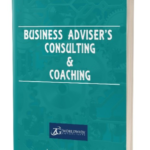 See more in less time and decrease your stress and workload. Doesn’t overheat. Three hours of continuous scan time per battery charge (done with wireless charger). 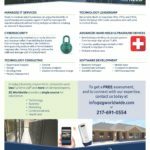 No monthly subscriptions or contracts required. The most cost-effective ultrasound solution on the market, leading the way against overspending and improving patient care. Two-thirds of the world’s population has no access to medical imaging technology. But now, thanks to quantum leaps in innovation, we have a mainframe computer in a smartphone and an entire ultrasound system in a wireless, handheld device. 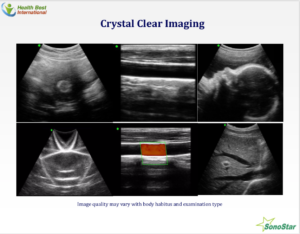 Ultrasound is the most affordable among all medical imaging systems. It is rapidly gaining popularity as a safe and efficient diagnostic tool. 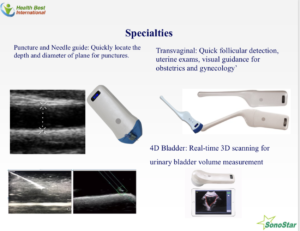 It is a rapid and cost-effective way to evaluate a vast array of conditions and can complement and improve the accuracy of the physical examination. Point-of-care ultrasound applications continue to expand dramatically and include many primary care scenarios. These include musculoskeletal injuries, deep vein thrombosis, carotid disease, abdominal aortic aneurysms and other vascular pathology, as well as cardiac function, pleural effusion, thyroid nodules and gallbladder disease. It involves limited imaging protocols performed at the bedside by the provider to make an accurate assess- ment that efficiently guides treatment of the patient. It is safe, accurate, and can be performed by non-radiology specialists, including family physicians.